Sam Metcalf’s blog about a new generation of leaders for the global church. 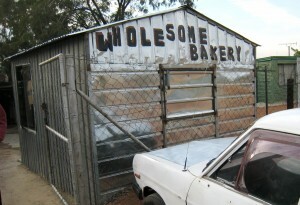 Wholesome Bakery is a business for mission project that Enterprise International - the CRM business for mission arm – has sponsored in a township outside of Pretoria, South Africa. 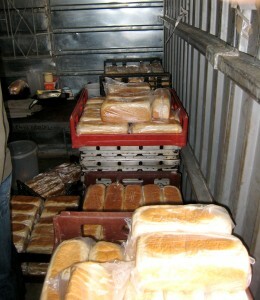 The benefits reaped from such a local, for-profit venture are substantial. 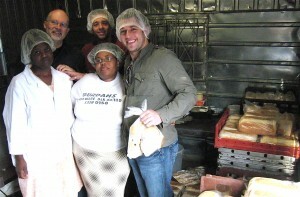 Not only do profits go toward sustainable ministry in the context, but people are employed. A valuable, life-sustaining, and quality product is produced. And the entire community is served. There are also a multitude of intangible ministry and relational results from the presence of such a business. 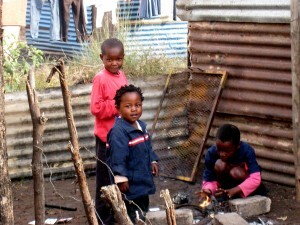 I just returned from a far ranging trip overseas that included South Africa. Most sobering was our time in one of the townships outside of Pretoria where CRM staff live and minister. Being with those who cope with HIV-AIDS every day and the devastating effect the epidemic inflicts on a society where one in every three people are infected is emotionally numbing. Add to that the grinding poverty and the social inequities that remains from aparteid. Yet the people we were with – who in word, deed and power represent the living Christ amidst such loss and suffering – are incredible individuals. May God reward their faithfulness, grant them endurance and resilience, and add to their numbers. I met her in 1975. Patty, my wife, was the one who actually had the relationship and I tagged along. 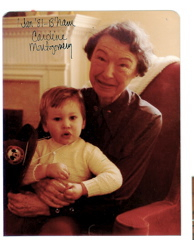 Caroline was in her 70s and was a widow. She was the epitome of a gracious, Southern lady. Under the genteel surface was a life that had been difficult with personal and family challenges and the accompanying pain. But from it all and through it all, God had taken this women and drawn her deep into a life of prayer. She knew Jesus in a depth that few attain. Praying with her was like being ushered into the presence of the holy. She prayed for us. She prayed for CRM in our formative years. In the picture above, David, our oldest, sits on her lap, a product in no small way from her prayers. We had difficulty having kids and I believe Caroline was an integral part of that process through her intercession as much as doctors and infertility meds. She was ushered into glory and the presence of the Jesus she loved in 1988. But like Elijah, her mantle fell not to just one Elisha, but to many who stepped into the gap to pray. However, heaven only knows what role she played behind the scenes in so many lives, so much ministry, and in so much supernatural change. One of the most effective and critical components of a strategy whereby the Christian movement can have a transformational effect on the world is through the multiplication of local churches, ie., groups of people wholehearted committed to following Jesus and together living out the presence of his kingdom in a given locale. 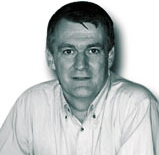 I know of no one today who is a greater, more persistent champion for such church multiplication than Steve Addison. I’ve known Steve and Michelle for over 20 years. Throughout that time, through thick and thin, the planting of churches and developing leaders who can do such work has been the consuming passion of Steve’s life. He’s doggedly overcome considerable obstacles to stay this course. What has resulted is that Steve has evolved into one of the leading authorities anywhere on the planet – well at least in Australia, which means the whole world to an Aussie – on movements, particularly church planting movements, and how they have repeatedly been God’s vehicle for winning back his lost creation. Sam is the President of Church Resource Ministries, a worldwide ministry focussed on empowering leaders from the harvest, for the harvest. You are currently browsing the Sam Metcalf’s Blog » Under The Iceberg weblog archives for May, 2009. All content is Sam's but you can pass it on! Blog Consultant: Alister Cameron.